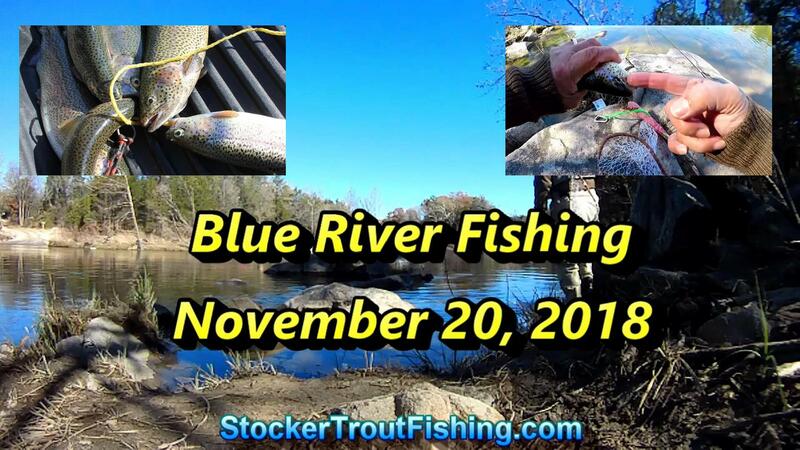 Winter Trout Stocking Season has begun on the Blue River. 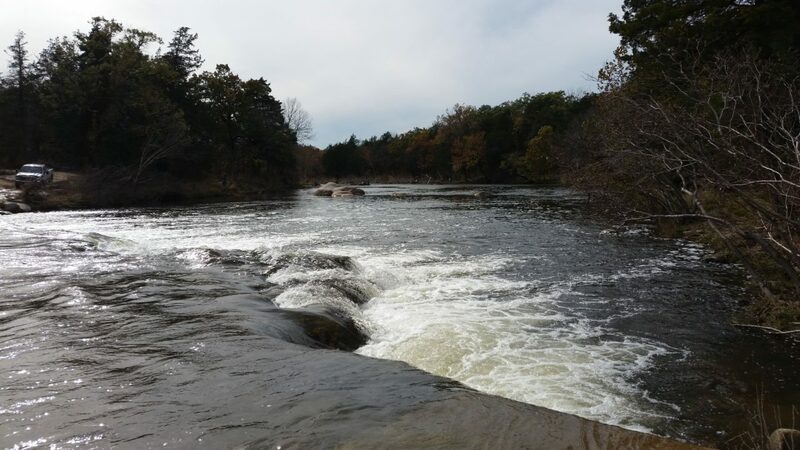 Was able to fish the river last Saturday – November 3, 2018. Mainly fished Hughes Crossing and managed to catch four for the skillet. Did lose others and missed more as your truly’s mojo was off. Regardless, had a great time fishing for trout. Went with the tried and true fly fishing combo… the 5wt Redington Classic Trout Fly Rod and Echo Ion 4/5 Reel with an OPST Commando Head for one-handed spey casting which made for easier casting when the back cast is constrained by trees and other things. Trout went for a Tandem Rigged Olive Near Deere with a trailing Rainbow Warrior. 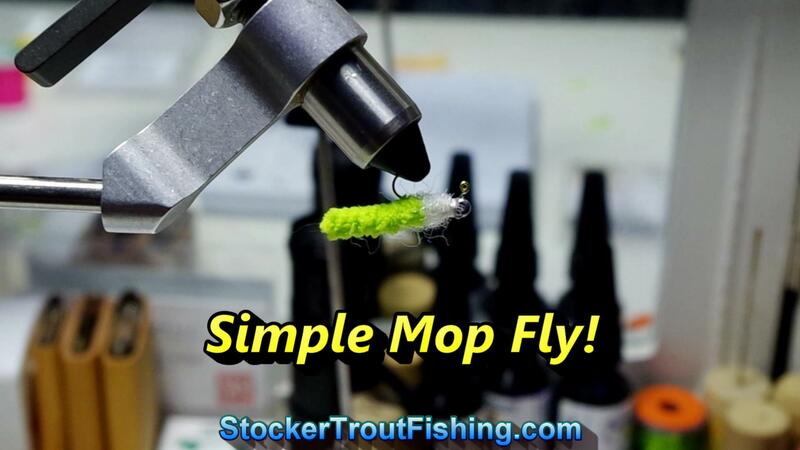 Trout seemed to prefer the Near Deere but did get one on the Rainbow Warrior… but, lost it when putting it on the stringer. Also, noticed the Trout wanted more movement instead of a dead drift. Action was steady but leaves and other debris clobbered the area we were fishing and tended to foul our lines and fishing flies often. Decided to explore the river using the Water Wolf Camera. Got some great video of what was lurking below, added it to the video of the other action that happened that day! River was impacted overall by the flooding but the “Island” and “Sandbar” still exist! 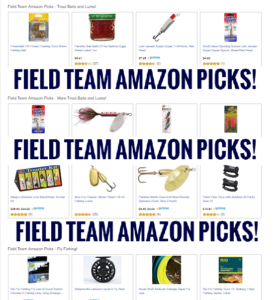 Blue River Fly Fishing Tips…. 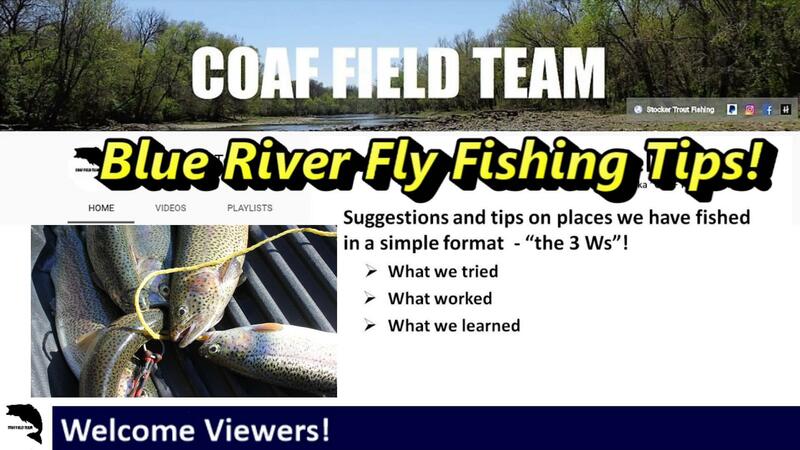 Livestream Test – Three Places to Fish for Rainbow Trout in OK!